Do you not have much time before your vacation? Oh, darling! We know that feeling! Life can be really hectic. Luckily, we know how to make your body look beautiful in your brand new swim suit. However, this intensive workout can be really exhausting, especially, if you are not used to doing physical exercise. Here is the list of exercises that you need to make best friends with for the next 2 weeks, at least. The best result will be achieved, if the session is done for 2 months. Other than these exercises, you need to load your body with cardio training. - Lie flat on your back with your feet flat on the ground, or resting on a bench with your knees bent at a 90 degree angle. If you are resting your feet on a bench, place them three to four inches apart and point your toes inward so they touch. - Now place your hands lightly on either side of your head keeping your elbows in. -Tip: Don't lock your fingers behind your head. 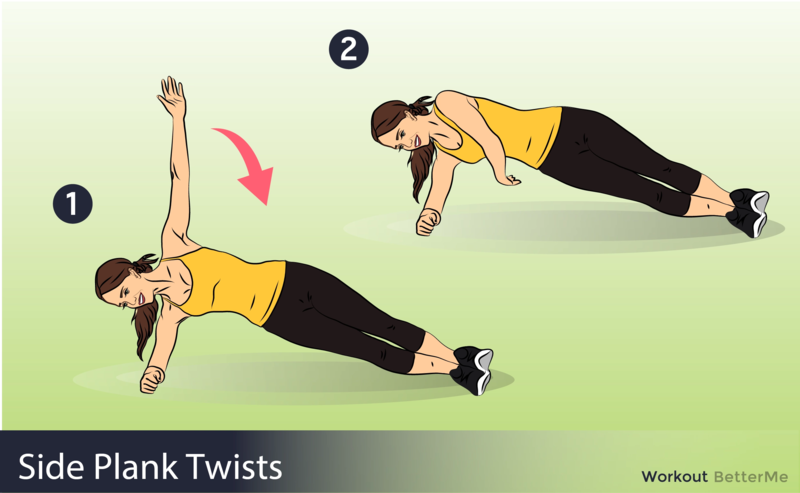 - While pushing the small of your back down in the floor to better isolate your abdominal muscles, begin to roll your shoulders off the floor. 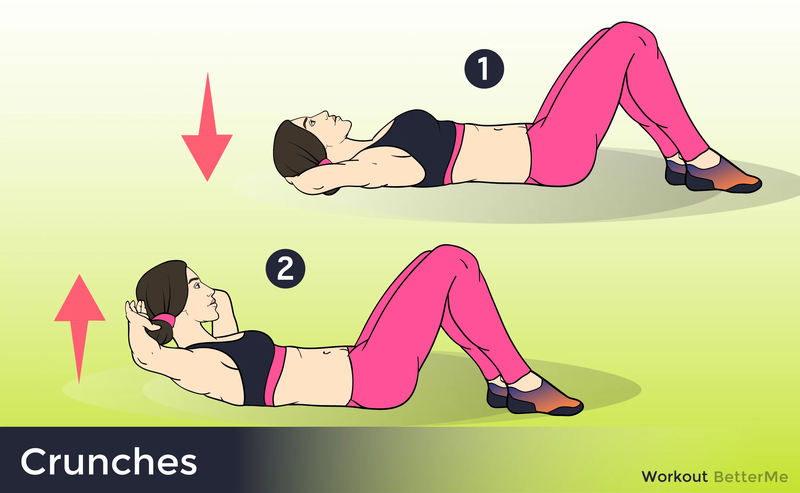 - Continue to push down as hard as you can with your lower back as you contract your abdominals and exhale. Your shoulders should come up off the floor only about four inches, and your lower back should remain on the floor. 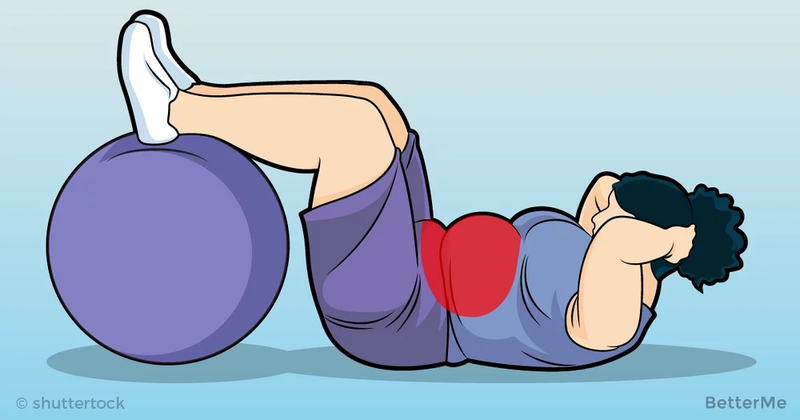 At the top of the movement, contract your abdominals hard and keep the contraction for a second. 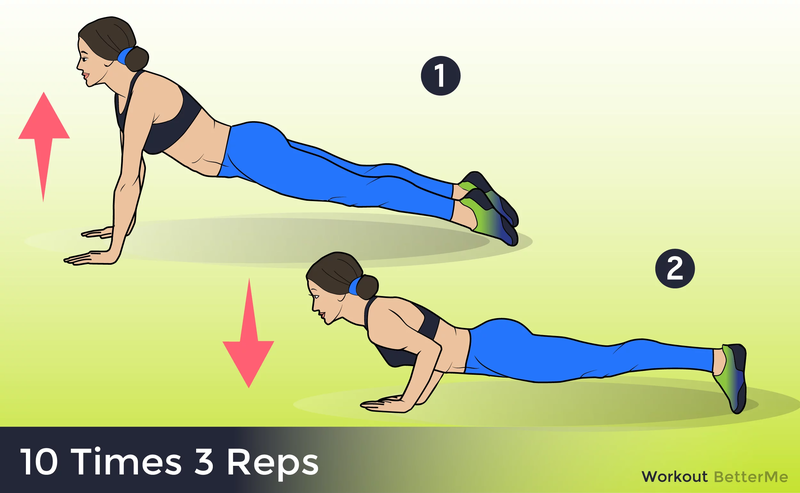 - Lie face down in a push-up position. Keep your palms on the floor next to your shoulders and your feet flexed with the bottoms of your toes on the floor. 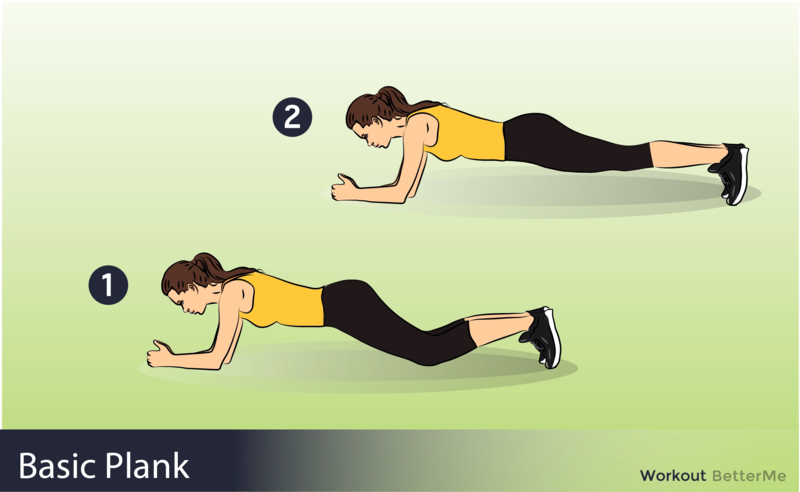 - Take a deep breath and press up into a pushup. Your body should make a straight line from your heels to the top of your head. - Draw your navel toward your spine and tighten your buttocks. Look at the floor to keep your head in neutral position and breathe normally. 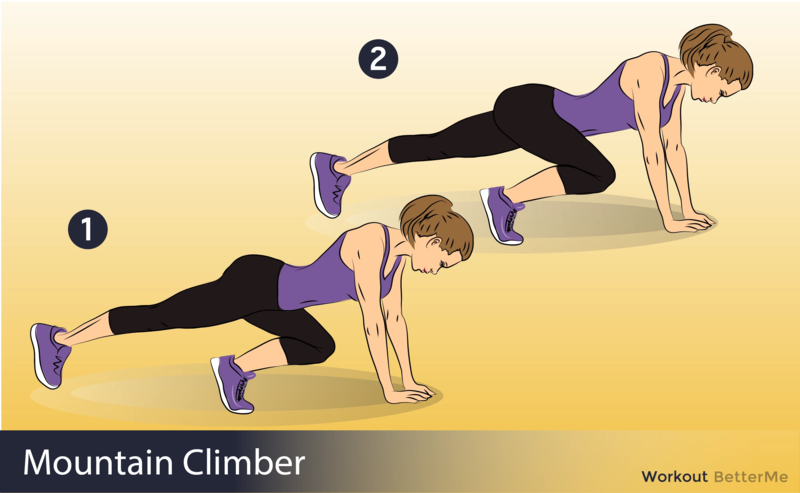 - Hold for at least 10 seconds and lower yourself back to the floor.